Many states have already acknowledged the need of small business and entrepreneurs to have access to capital, as well as, the shortcomings of the current SEC crowdfunding regulations. In response, several states (including our neighbors, Michigan, Wisconsin and Indiana) have passed, or are at various stages of passing, “intrastate crowdfunding” laws to allow for a much more viable and much less expensive method of accessing capital. Illinois however, does not appear to even be considering such legislation but that can all change with YOUR support!!! If Illinois wants to remain a center for entrepreneurship and innovation in needs to find a way to give entrepreneurs access to capital!!! If not, what is to stop these businesses from making the quick move to one of our neighbors who have enacted such laws? I, for one, do not want to see that happen so I took it upon myself to draft a crowdfunding bill for the state of Illinois which can be seen at www.illinoiscrowdfundingnow.com. I also started this petition to generate support for the movement. Whether it be the bill I propose or not, a state level crowdfunding exemption will make it much easier for Illinois entrepreneurs and small businesses to find funding and in turn create jobs. 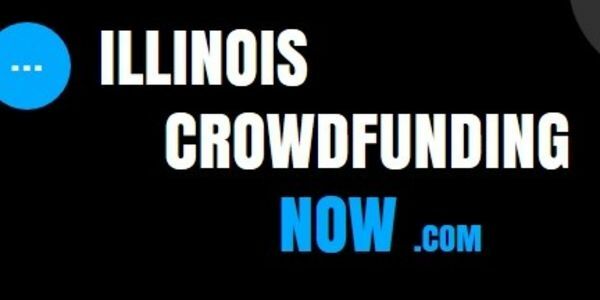 PLEASE SIGN THIS PETITION and tell Springfield that we need a state level crowdfunding exemption NOW! On behalf of Illinois entrepreneurs and small businesses, I thank you in advance for your support.